A distinctive, sprawling, human-scaled development consisting of low- to- mid-rise terraced sections in the first few phases, gradually spiraling to taller sections in later phases, all set within lush greenery. 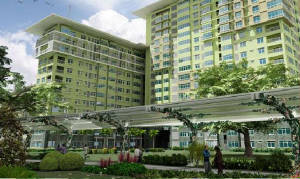 The development combines a European-inspired masterplan with Filipino architecture. Fort Bonifacio is the newest urban development site located in Taguig City, Metro Manila, just in the boundary of Makati City, Philippines. 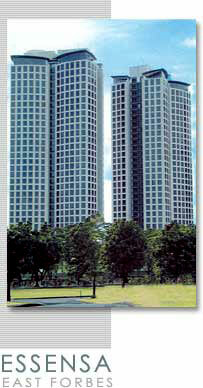 Fort Bonifacio Global City is a mixed-use community that has all the features of a well-planned development. Its state of the art-infrastructure includes underground utilities, fiber optic lines, flood water drainage detention tanks and a guaranteed 24-hour water system. The development provides open areas and parks and has a public art program that gives the city a distinctive character. 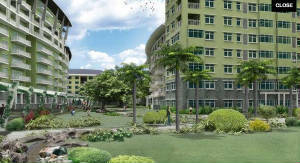 New developments continue to rise at Bonifacio Global City. The Global City is now home to upscale residential condominiums such as Essensa, Pacific Plaza, One and Two Serendra, The Icon Residences, The Hamptons Grand Tower, Regent Parkway and many more developments, and office buildings such as Net One and Bonifacio Technology Center. Many fine dining restaurants, fast food outlets, commercial and retail shops have opened at The Fort Square, Bonifacio Stop-over and the Car Plaza. Moreover, Bonifacio Global City is fast building a reputation as the launching pad for new concepts in food and dining. This season, Embassy and Cold Rock appear destined to follow the path of Bonifacio Global City's top grosser Le Suffle, upscale Chinese bistro Zong, and Chinese fusion haven Good Earth Oriental Cuisine and Bar. One thing Fort Bonifacio Global City can boast of is the number of schools located in it. The prestigious International School Manila, British School Manila and Manila Japanese School were among the City's early locators. Joining them are Summit School, Victory Leadership Institute and Manila Gospel. Many fine dining bars and restaurants, exclusive clubs, fast food outlets, commercial and retail shops have opened at The Fort Square where MTV Philippines and NBC Tent are also located. There is Bonifacio Stop-over and the Car Plaza for the motorists. All these are complemented by a major retail mall: Ayala Land's Market! Market! A much anticipated development are the St. Luke's Medical Center and the Taguig Coliseum and Mind Museum. St. Luke's Medical Center includes a 16-storey hospital building with 600 patient beds and an 11-storey medical arts building with 366 doctor's offices. The hospital offers the most advanced medical technology administered by a highly trained staff. Bonifacio Global City is truly the modern and fully master-planned business district in the country.